Two years ago, I bought this painting from a local artist after seeing it at an Art Stroll and not being able to get it out of my mind. Today, during our mission to hang and sort and place art, I held it up to this wall, just to see how it would look. And it was perfect. 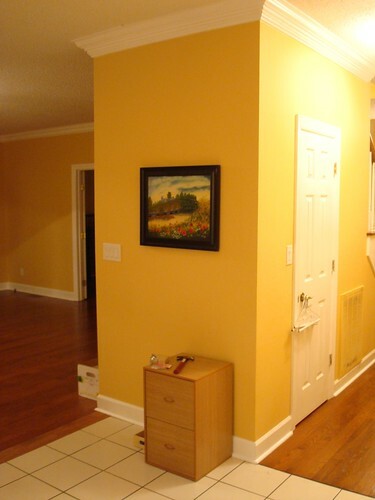 The yellow/beige color of the road is practically the same hue as our walls. Destined to be together.